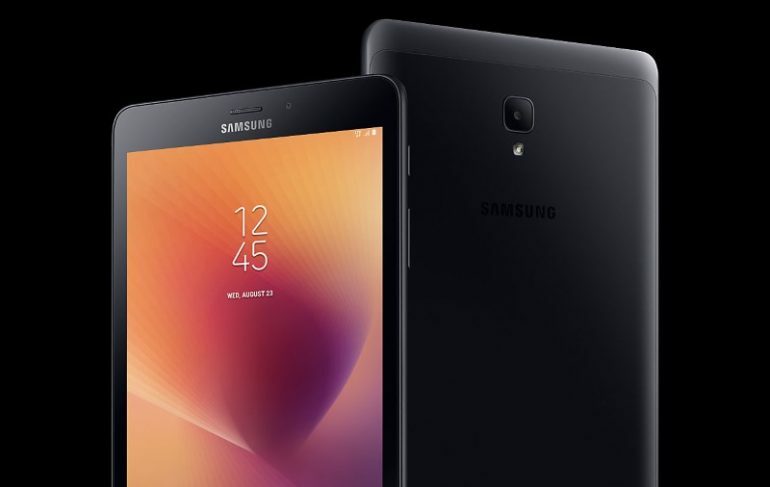 Samsung’s long-rumoured Galaxy Tab S4 tablet has finally been spotted on the Geekbench database. The tablet was expected to be announced back at MWC but disappeared as Samsung chose instead to focus on the launch of the Galaxy S9. The tablet looks to be nearing an official launch, as it recently received certification from Bluetooth, Wi-Fi and Russian authorities. Based on the Geekbench database, the device is sporting a decent set of specs. Bearing the code name SM-T835, the tablet packs a Qualcomm Snapdragon 835 chipset with 4GB of RAM. The benchmark score fares well with other Snapdragon 835 devices so users can expect a decent performance on the tablet. The front of the device packs a 10.5-inch display with a resolution of 1600 x 2560 pixels and a 16:10 aspect ratio. There’s also a 7MP selfie camera while the rear camera will have a 12MP snapper. 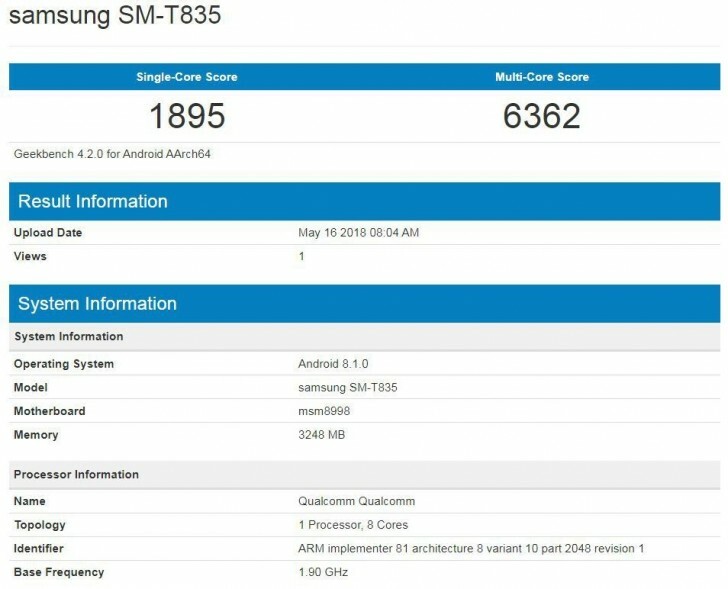 The Geekbench database also states that the Galaxy Tab S4 tablet will be powered by Android 8.1.0. Samsung hasn’t set any release date for the tablet. However with all the reports of the tablet have been circulating around the internet recently, we might be closer to its actual announcement sooner rather than later.